...or check out this demo video to see what we're building. The m-Power Development Platform is a low-code development platform that lets you create enterprise-class web applications without coding. The m-Power Demo Video Series takes you on a deep dive into m-Power's build process, walking you through a start-to-finish development project. Don't have time to watch the whole video? We've broken the video up into steps for those who don't have time to watch the whole thing from start to finish. You can filter the videos by topic and select one of the options below to view a specific step in the build process. In part 1 of this video series, we introduce you to the m-Power Development Platform and explain the helpdesk portal we're about to create. 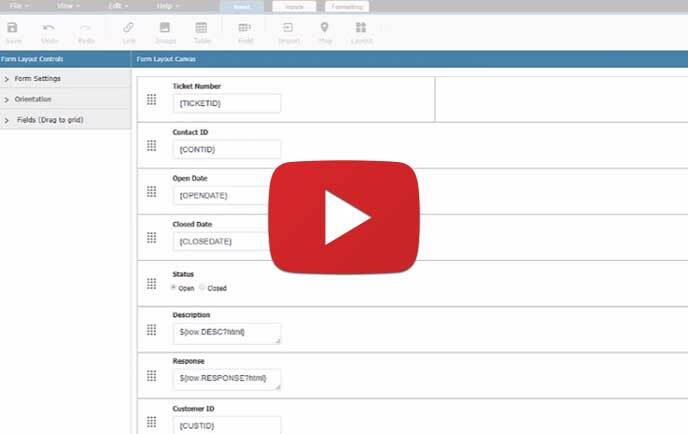 In part 2 of this video series, we take you through a demo of the helpdesk portal we're about to create. 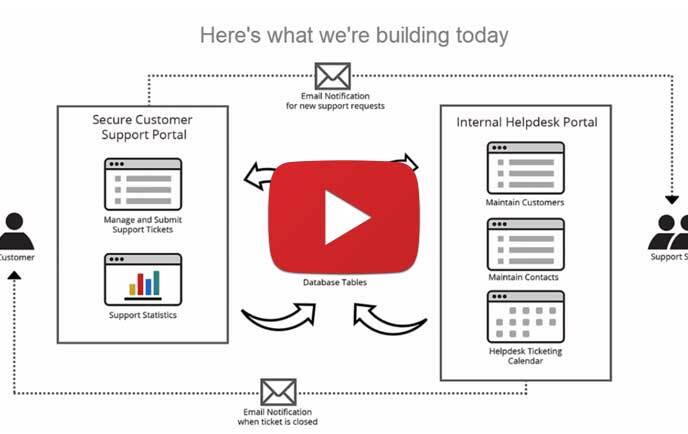 In part 3 of this video series, we begin creating the helpdesk portal. In this step, we create the 3 database tables we'll need for the project: The Customer Table, the Contacts Table, and the Tickets Table. 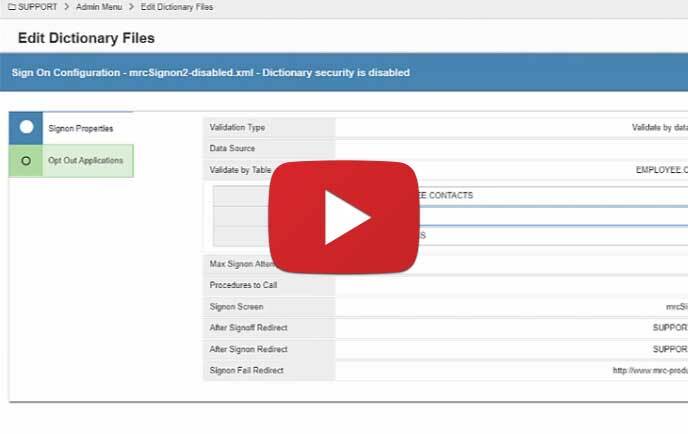 In part 4 of this video series, we set us user security for the internal side of the portal. We'll enable security within m-Power and set up authorized create user accounts for our helpdesk employees. 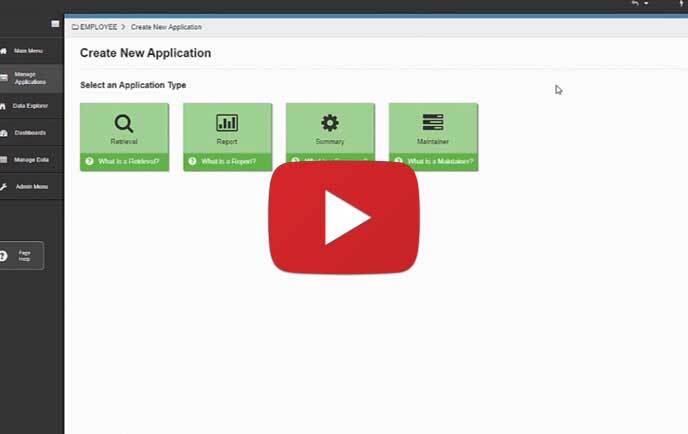 In part 5 of this video series, we create the Customer Master Application. This application stores all of our customer data and lets employees update, add, or delete information. In part 6 of this video series, we show you how to customize form fields using m-Painter (m-Power's visual editor). Using the point-and-click editor, we'll add some useful features to the "Add New Customer" form. In part 7 of this video series, we review the features included in the application we just created. All of these features are included in m-Power's templates, and required no extra development. 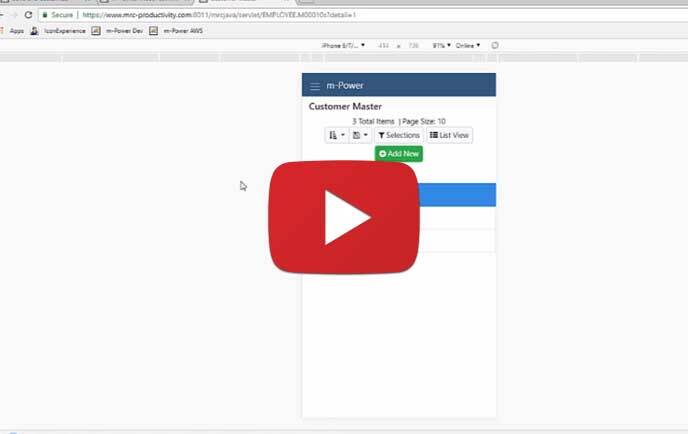 In part 8 of this video series, we show you the built-in responsive design features included in the application. All applications created by m-Power are automatically responsive, and require no additional development effort. 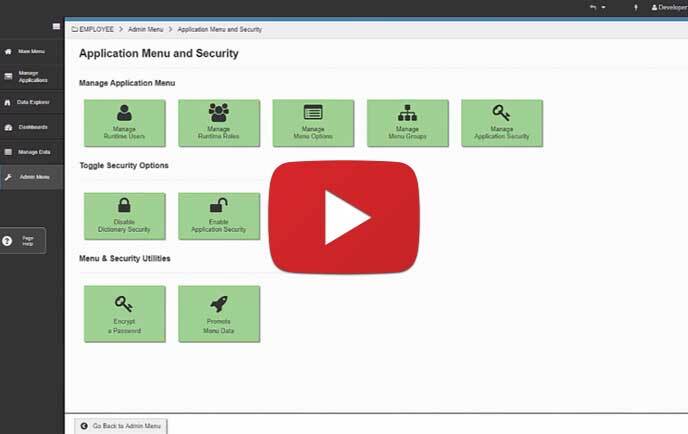 In part 9 of this video series, we create the second application needed for the helpdesk portal. 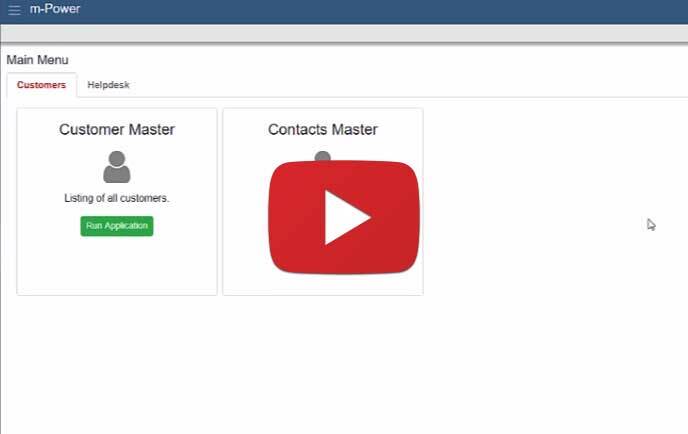 This application lets our helpdesk employees update, add, and delete contacts. 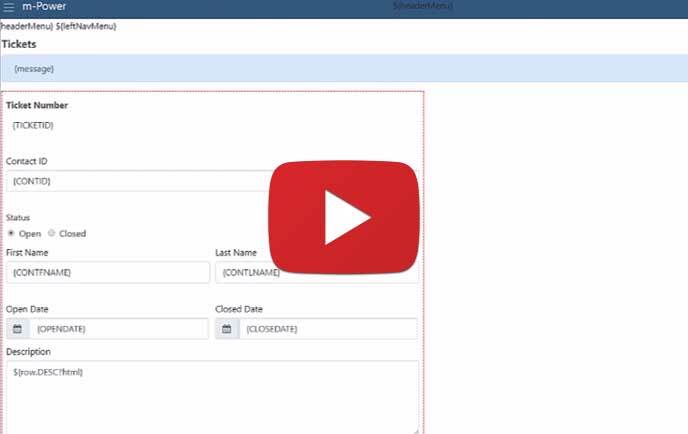 In part 10 of this video series, we show you how to customize the "Add new contact" form we created in the last step. Using m-Painter, we'll add a drop-down list, hide a field we don't want users to edit, and mask the password field. 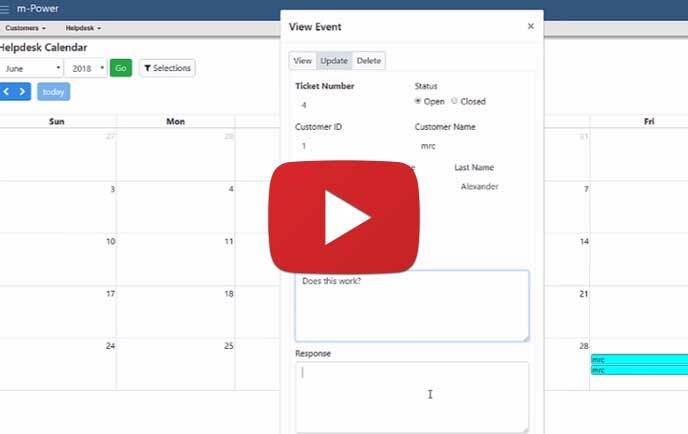 In part 11 of this video series, we show you how to create a calendar application within m-Power. For this project, the calendar will be used to view, update, add, or delete support tickets. 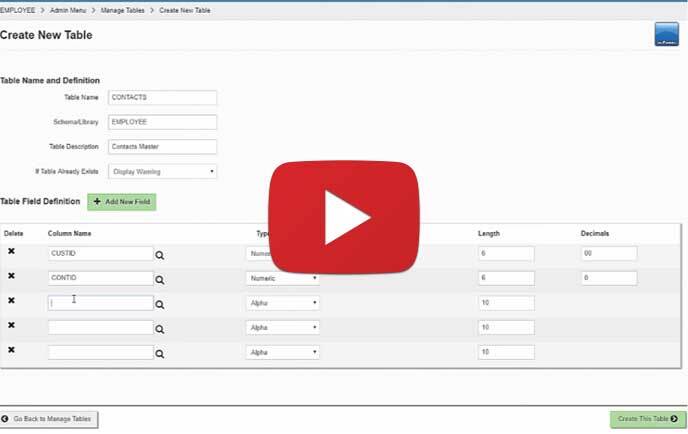 In part 12 of this video series, we show you how to create and edit custom forms using the form designer. The form designer lets you create and customize web forms without coding. 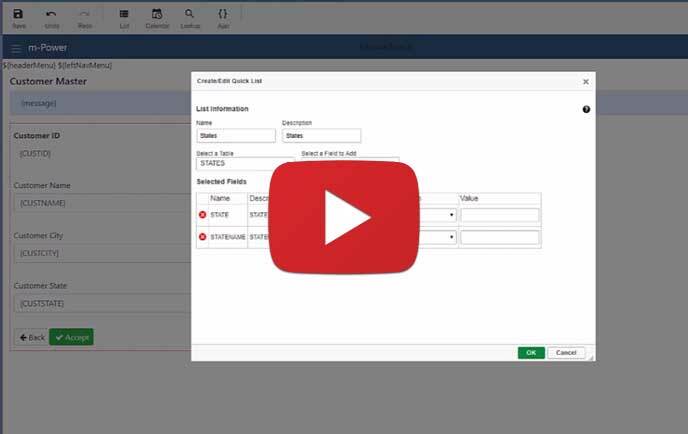 In part 13 of this video series, we show you how to create a lookup window within m-Power. 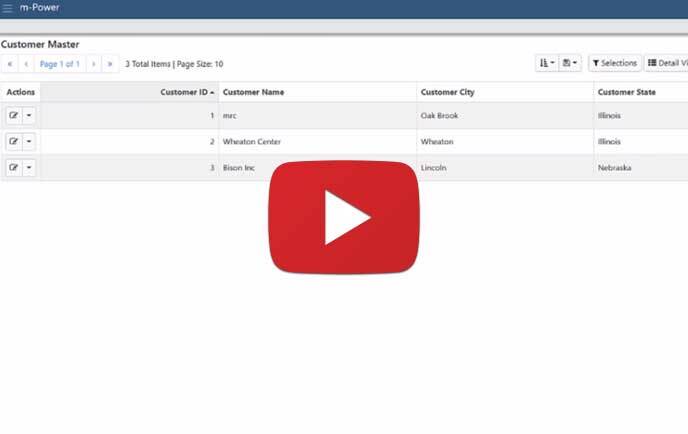 This lookup window lets employees quickly search and find customers in the database. 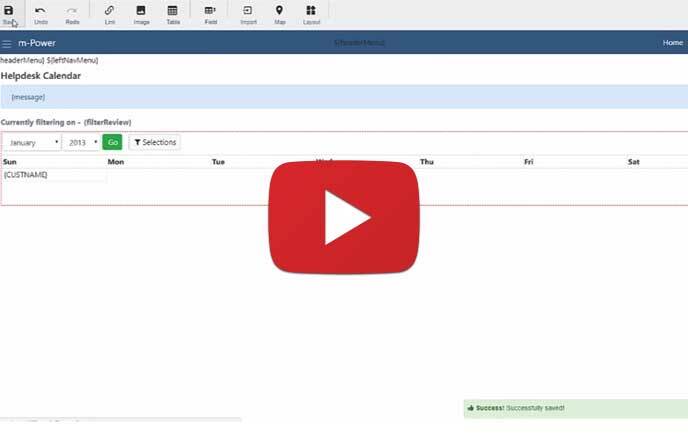 In part 14 of this video series, we show you how to set up automated emails within m-Power. We'll use this feature to automatically send emails to support personnel and the customer whenever a ticket is closed. In part 15 of this video series, we show you how to set up an internal main menu within m-Power. This menu lets employees easily access all of the applications in our helpdesk portal. 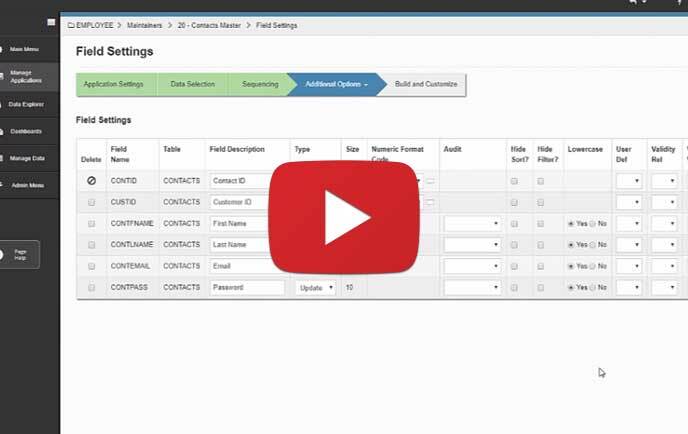 In part 16 of this video series, we start the working on the external side of our helpdesk portal. We'll start by creating a new data dictionary within m-Power. 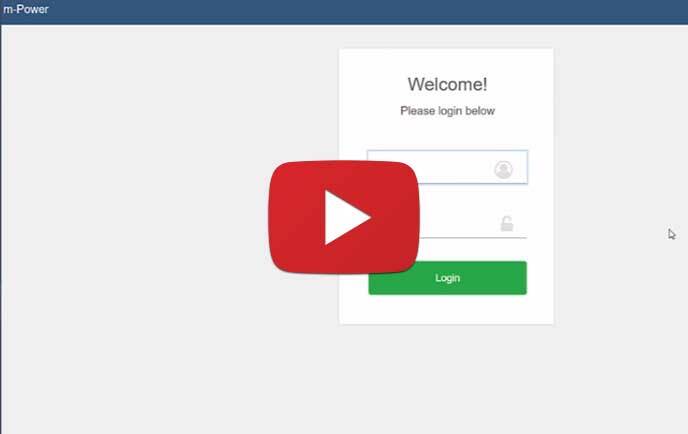 In part 17 of this video series, we show you how to create a secure landing page for our portal complete with multi-tenant security. Multi-tenant security ensures that each customer will only see their data when they login to the portal. 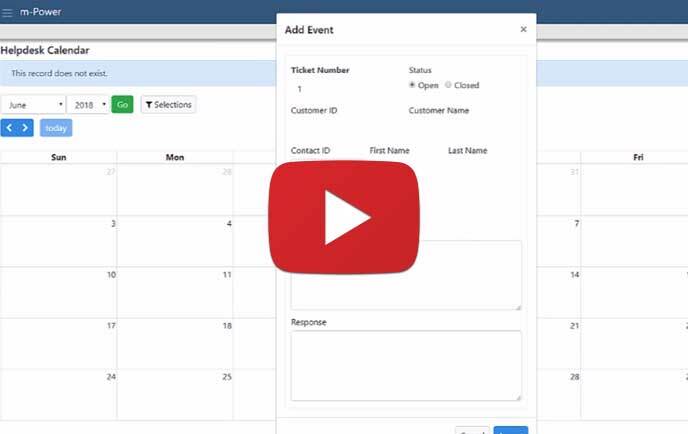 In part 18 of this video series, we show you how to create the ticket submission application. This application lets our customers submit new support tickets through the helpdesk portal. 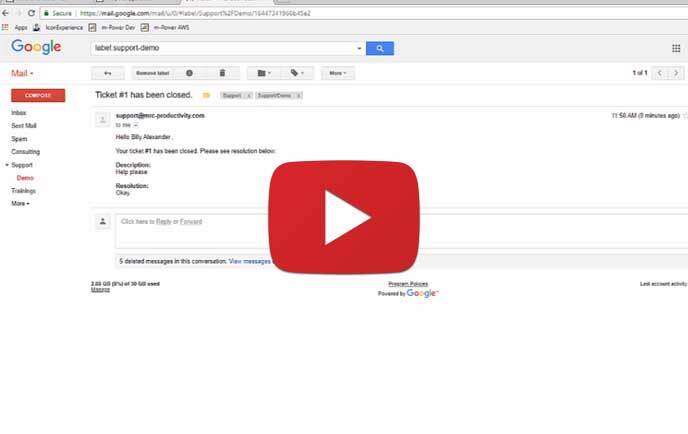 In part 19 of this video series, we show you how to add email notifications within m-Power. This will automatically send an email to our support desk every time a new ticket is submitted. 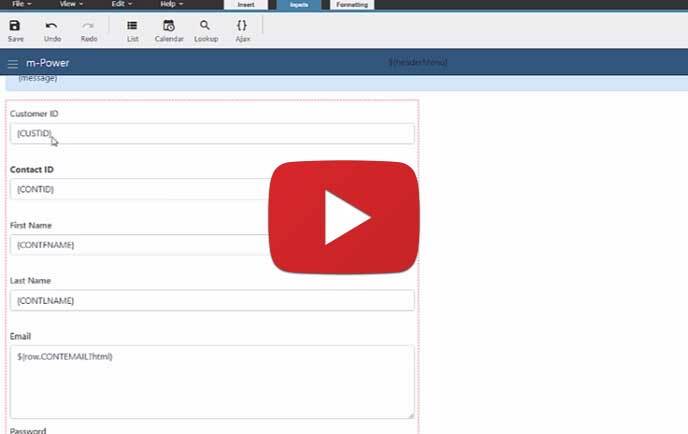 In part 20 of this video series, we show you how to create a report within m-Power. 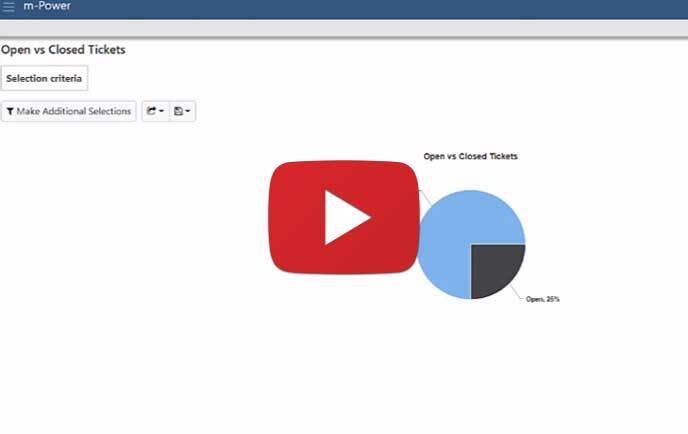 This report gives our customers a quick view of their open vs. closed tickets. 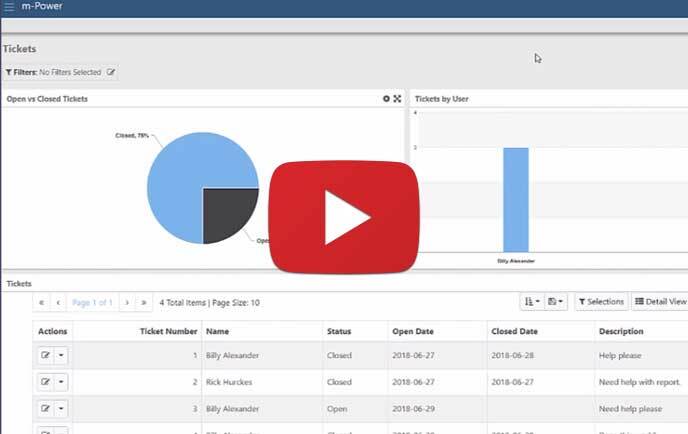 In part 21 of this video series, we show you how to create the "tickets by user" report. 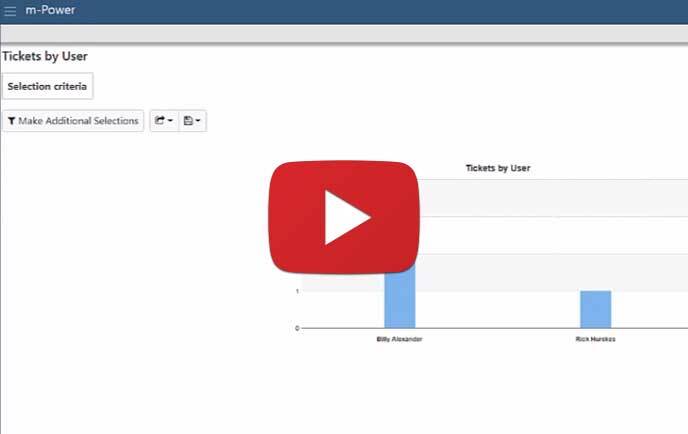 This report lets our customers quickly see which users are submitting the most help tickets. 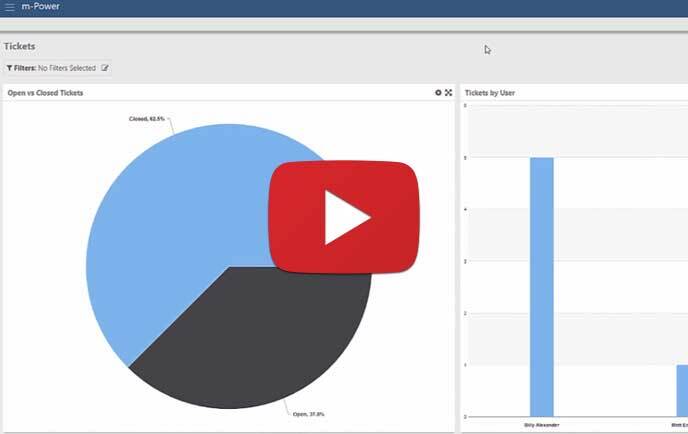 In the final part of this video series, we show you how to create a dashboard within m-Power. We'll use this dashboard to display data from the two reports we just created.